We are excited to announce the following instructors for Wrangler Weekend Los Angeles, 2019! Each individual listed below has many years of experience in the art of dance and is excited to share their knowledge with you. Please keep checking back in the coming weeks as this list is not comprehensive as of yet. Jeremy Box of Thousand Oaks, California, has taught American Smooth & Rhythm, International Standard & Latin, Argentine Tango, West Coast Swing, and Country Two-Step for over 25 years. Jeremy has entered competitions in all styles and received numerous awards for his performances. He has instructed at the Country Dancing Festival Sundance Stompede in San Francisco, California and this will be his 4th year teaching at WWLA. Annemarie Dunn has 30+ years experience as a studio owner/director, instructor, choreographer, & performer in multiple dance styles for all ages including the development & integration of adaptive/therapy programs for special needs. Annemarie is the founder of Word In Motion Dance Company servicing Southern California community programs for 25+ years, National & International programs, 5 yrs Stagecoach Honky Tonk Productions Program Director/Dance Captain & Cross-promotions lead, Lead instructor for Water Wheel & Mavericks, Norco, Sixth St Bar & Grill, Ontario and previous program director & lead instructor for Brandin Iron Saloon and Toby Kieth’s Bar & grill. Annemarie is highly sought for her motivational, energetic & personable teaching style & management experience. Troy Inman of San Diego, California has been performing, choreographing, and teaching for over 25 years in country-western, ballroom, and theatre arts. Also the co-founder of 'Contact Dance Theatre- Unstrictly Ballroom’, Troy is an aerialist specializing in the “silks” and loves to share his passion for partner acrobatic yoga. When not dancing, cross-fitting, or hanging upside-down, Troy is an executive at a global marketing technology company. This year, Troy is also participating in AIDS Life Cycle. A charitable event organized to fund research and help those battling AIDS and HIV. To view his donation page, click the button below! Help Troy Meet His Goal! Brian hails from New York City where he started the dancer's journey over 20 years ago. He studied many styles including Country Two-Step, several forms of Swing, Hustle and Latin; but his fast favorite became West Coast Swing (WCS). 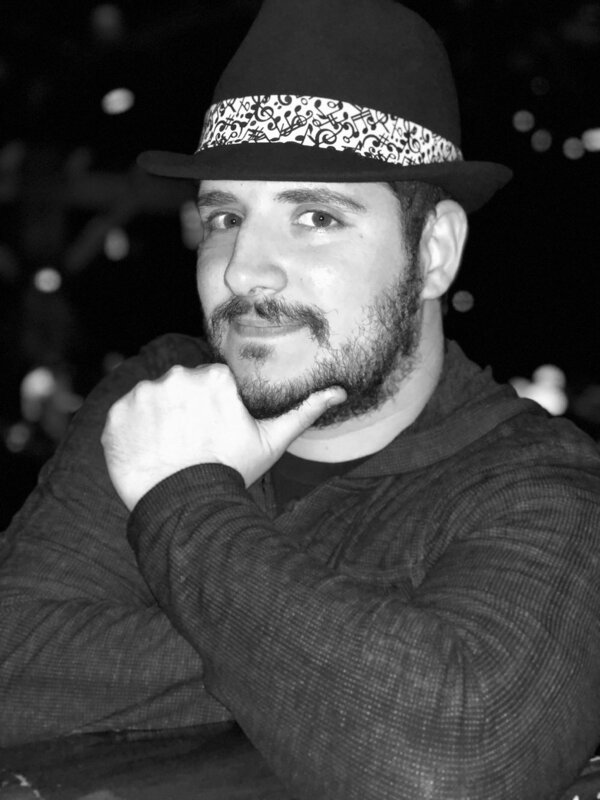 He has danced WCS competitively and socially as both a lead and follow, and has been on the board of New York's premier WCS organization, Gotham Swing Club, for over 10 years hosting events, teaching and DJ'ing. Brian is also a regular at New York's Big Apple Ranch where you will often find him dancing with The Manhattan Prairie Dogs. Brian is excited to join the WWLA team this year to share his knowledge and joy of dance. Jon is the director/choreographer of the incredible Manhattan Prairie Dogs as well as the co-producer (with Susanna Stein) of the Big Apple Ranch. He has taught over the past 25 years at various dance studios, health clubs and country western weekend events as well as New York City's only country western dance club the Big Apple Ranch. Each dance is a moment of time between you and your partner. You don't have to marry them, but you should at least be 'engaged' for the length of the song!!! And remember, always 'Work The Skirt!'. Jonno’s introduction to dancing was in the early 2000’s at Disneyland’s Jump, Jive, Boogie Swing Party where he fell in love with Lindy Hop. A former Olympic roller skater, he has gone on to become a world level coach and choreographer. Jonno accidentally stumbled into the world of line dancing at the Sundance Saloon in 2012 while living in San Francisco, CA. It wasn’t long before he began creating his own line dances, which have earned several choreography awards, including two UCWDC World titles. His joy of dancing and creativity can be seen in his dances that are being taught across the globe. Some of his most popular dances include ‘Get Ugly’, ‘Do It Like This’, ‘The Wolf’, ‘Sock it to Ya’ with McKeever, ‘All Bass, No Treble’ with Galit, ‘Best Mistakes’ with Takahashi, and ‘Ex’s and Oh’s’ with Dominguez. More information and photo to follow! Sheila started tap dancing as a child and has not stopped moving her feet since. Calling Sundance Saloon in San Francisco home, she found a great dance venue in which to lead and follow. She teaches both partner and line dancing throughout the Bay Area. Sheila also keeps busy as a member of the Country Dance group, The Sundance Bandits; performing at Sundance Stompede, the Emerald City Hoedown and IAGLCWDC (IggleWiggle). Her other dance passion for the last 16 years has been clogging, currently dancing with Clogging Express. She is excited to be joining the Wrangler dance community for the first time as an instructor this year at WWLA. After being bitten by the “dance bug” in 1998, Scott has turned a one time hobby in to a true passion. This passion is evident in the over 90 line dances he has written. Several of which have won top awards and Over-All Championships in both IAGLCWDC and “Mainstream” dance competitions. Some have even been used as IAGLCWDC competition pieces. He draws his inspiration from the many line dances he has mastered over the years. Examples can be seen in his most popular dances such as “More Than Life,” “Hello Stranger,” “Georgia Winder” and most currently “Cry Pretty”. Scott very much enjoys seeing his students and fellow dancers share in his love for dance which motivates him to continue his craft. As a side note one of Scott’s biggest dreams is to one day make a guest appearance dancing with the ever-fabulous Manhattan Prairie Dogs! Because after all… dreams do come true!